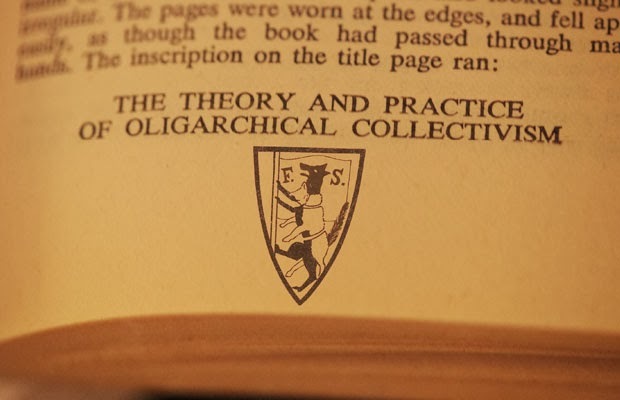 Founded in 1884, the Fabian Society boasted such writers (propagandists) as H.G. Wells, Aldous Huxley, George Bernard Shaw, Jack London, Virginia Woolf, Annie Besant and plenty of influential and wealthy ideologues. George Orwell, a co-mingling socialist who became disaffected with the aims and methods of the Fabians, whose real name was Eric Blair, exposed much of this in his infamous 1984 – curiously placed a full century after the founding of the incremental Fabians began in 1884. Among the many clues left in his most powerful novel is “INGSOC” a newspeak abbreviation for the ruling party who practiced English Socialism.